To provide Single-SignOn (SSO) to your web service on a linux server in a windows environment (Active Directory) you can add a login filter to tomcat to accept Kerberos tokens. It's really quite simple, if you set it up correctly, which is not simple to figure out. I did it using a custom SPNEGO filter to also extract AD groups from the kerberos tokens. Mostly follow https://tomcat.apache.org/tomcat-7.0-doc/windows-auth-howto.html but with many additional tweaks. (These files are also found in /var/lib/tomcat7/conf). Available from https://sourceforge.net/projects/spnego/. Put the file under /usr/share/tomcat7/libs/spnego-r7.jar to make tomcat load it on startup. Add a service user to let you linux server "log in" and validate kerberos tokens. to link the SPN HTTP/myserver to the user myserviceuser. The keytab is file which stores SPNs/usernames and password for them. Note the n 0 flag which sets key version number, it needs to be 0 for tomcat/Spnego to find the key. Put the mykeytab.keytab file under /etc/tomcat7/mykeytab.keytab on your linux server. We also need to make the computers in the windows network trust our server, to do this we can use Group Policy on the AD server. But we'll get back to that later. You need to replace SERVICE_USER_NAME and SERVICE_USER_PASSWORD with the ones you use to create your keytab. spnego.allow.basic, spnego.prompt.ntlm are true to let users who haven't logged into windows to log in (WARNING: username and password are sent in cleartext/base64 to the linux server!). spnego.allow.unsecure.basic needs to be true if you don't use https, which you should do. To apply filter to all files. Differently from the apache tutorial, the initate object should only contain the module, otherwise tomcat will throw a parse error on startup. The kdc parameter should support the hostname of the KDC/AD server e.g. kdc.domain.local, but mine had trouble with DNS lookup for it, luckily IP works fine. NOTE: Make sure time is within a few minutes of the AD server, consider installing a NTP client to keep in sync. Active Directory adds a blob to their kerberos tokens called PAC (Privilege Attribute Certificate), which includes a users roles. We can extract these roles from our ticket so we don't have to do an additional LDAP request (which is the normal way). To do this we need a custom build of the spnego library by Ricardo Martín Camarero (rickyepoderi) (see http://blogs.nologin.es/rickyepoderi/index.php?/archives/73-SPNEGOKerberos-in-JavaEE-PAC.html) which utilizes JaasLounge and Bouncy Castle ASN1 to extract the PAC roles. I've added support for fetching a users kerberos token when using Basic Auth as well as adding compressed PAC from another library. 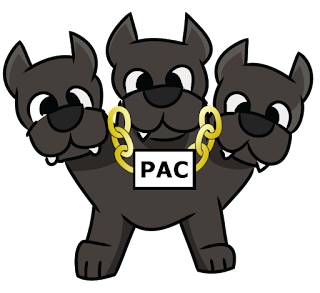 The spnego-pac source code is available from github (https://github.com/asmund1/spnego-pac), and the final binaries used in this project from https://github.com/asmund1/spnego-pac/blob/master/jars/spnego-pac.jar and https://github.com/asmund1/spnego-pac/blob/master/jars/bcprov-jdk15on-147.jar (additional library needed). 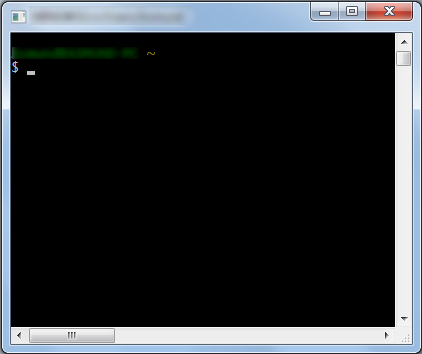 Copy spnego-pac.jar and bcprov-jdk15on-147.jar to /usr/share/tomcat7/libs/ so that tomcat loads it on startup. NOTE: Remove the original spnego jar if you have it there already. To get the value for your roles, check your tomcat log (/var/lib/tomcat7/logs/catalina.out) after login using kerberos, the library prints the SIDs found for a user. to the bottom of /etc/tomcat/logging.properties file and restarting tomcat. To get the kerberos token from windows you need to be on the trusted server list. Chrome and IE use a common list while firefox and other browsers have their own. Enter the url for your server and press the Add button. Then navigate to your server in IE/Chrome. You should not be prompted for username or password. If you go to the server from a non-windows logged on computer (e.g. mobile phone) you should get a popup asking you to enter username and password. If you enter the incorrect password you should get a white page, with correct credentials you should see your content. Frequently I have two computers next to each other and I want to copy a file or directory from one to the other. What do you do? Mail it to yourself, sync it via some cloud service, set up samba? No just use woof (http://www.home.unix-ag.org/simon/woof.html). A tiny python server that serves one file and then shuts down as soon as the file has been downloaded. (You can also share a directory as a tar archive). NOTE: the computers need to be on the same network. + you need to be running linux/unix with python 2.7.x. Get a screenshot of the framebuffer using cat /dev/fb0 > screendump.bin. This will read raw video from the screendump.bin, handle it as pixel monochrome data from a 320x240 screen and save as sreendump PNG file. Next, open in Gimp or similar to edit. Save as PNG afterwards. Use ffmpeg -pix_fmts to see other raw video types to convert from/to. Here is a HowTo for setting up a UltraVNC server on your computer, automatically open needed ports, and creating a configured UltraVNC single-click client to let you see someones desktop where all they have to do is start the client you send to them. No installations! - Edit to look like you want to. If it fails, the software will close. - Create a ZIP file with only helpdesk.txt in it. - Wait until you a link to download exe file appears. Then download the exe file. - Start it to see what it looks like. - Download UPnP PortMapper to open the needed port on your computer (if you havent done so manually on your router). - Open PortMapper jar file (should need only double-click if you have Java installed). - Under the section "Port Mapping presets", select Create button. - Enter a description, e.g. UltraVNC. - Then click Add button. - Change port 1 to 5900 in both External Port and Internal Port columns. - Not sure if you also need UDP port open, but might be useful so click Add again and select UDP with port 5900 internal and external. - Click connect to connect to your router. When successfully connected (you might get an error, but stuff seems to work regardless). - Select your UltraVNC entry in the list and press "Use". - Wait for ports to show up in the list above. - Finally, send the exe file you generated from helpdesk.txt (not the zip file) to the person you want to connect to. Get the person to open the file and double click on the top option and you should get a message on your computer asking you to accept the connection. I've tried both. Unsure which one I think is best. I think the most important point is to create a directory structure to group your files according to how they are used. So that other people can understand how you program is structured more quickly. Automatically download and install stable updates. So a neat feature for Android is the LayerDrawable which lets you make an image compiled from other images. You define an array of images that shuld be drawn on top of each other and receive the resulting image. This feature exists in CSS too. It's called background-image and lets you define one or more images to be displayed as a background of a container.